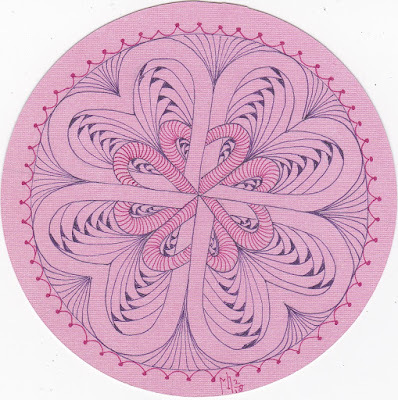 For the challenge "Heart Zendala" I drew on pink cardstock with a purple and pink Micron. I have not yet shaded this one, I like it this way, what do you think? 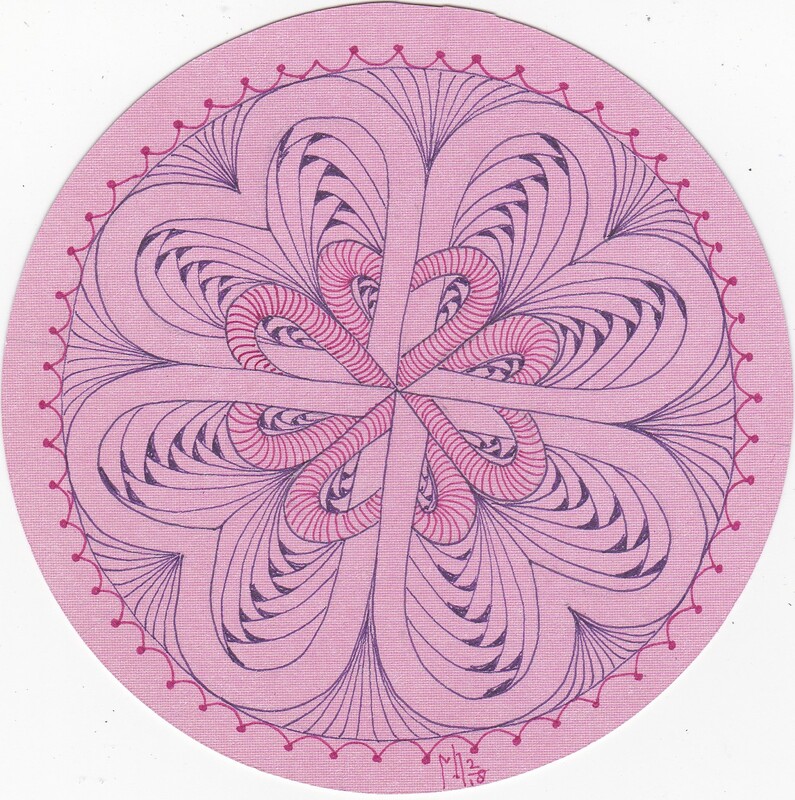 Also with the purple pen I drew the Zendala on white paper and colored with colored pencils. Very lovely, I like the Paradox in your heart! Terrific heart Mandala! I would interested in seeing the difference with shading. 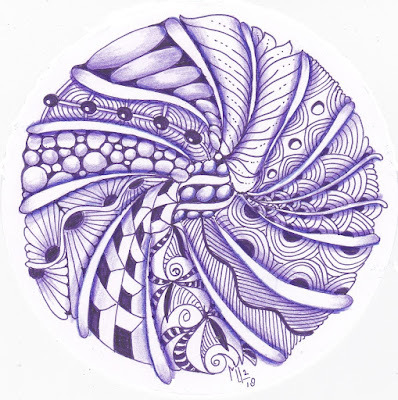 But I L💜VE your purple mandala! My favourite colour!!! I love how it's spinning! Love your heart string zendala and how the hearts in the middle weave in and out. I am a big fan of shading so I always like that, but it's beautiful without it too. 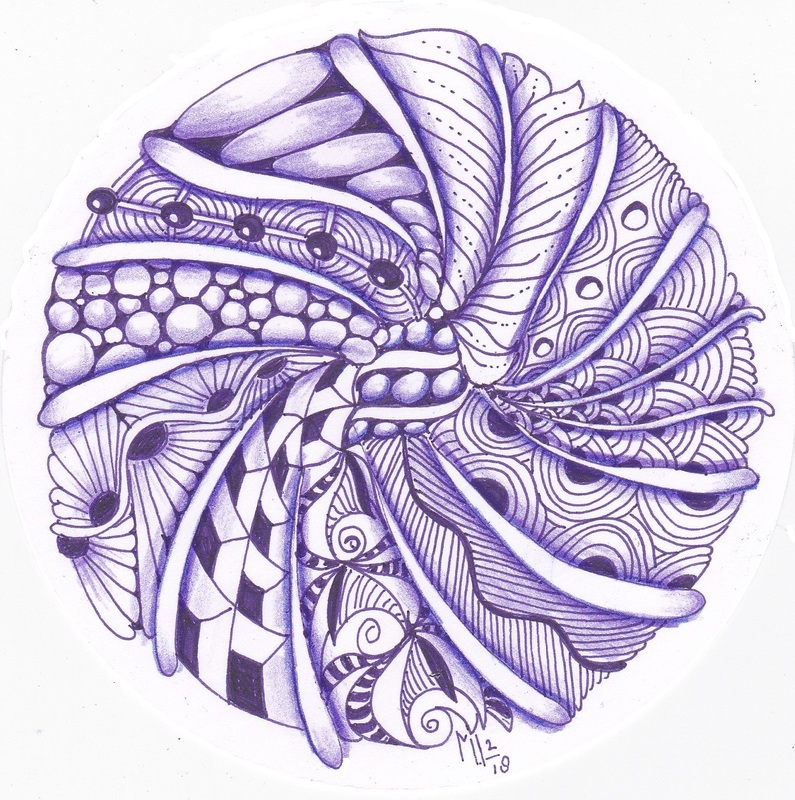 Love your purple zendala with Purk in the middle...lots of movement. I love them both. The purple one is really outstanding! Two wonderful tiles, but the purple one is amazing! Great shading gives it a lot of depth and texture. I love how you have used the gentle colours here. They are both so lovely! So graceful and soft. Although I generally love shading, I think your unshaded zendala is so fresh and clean.